Summer’s over, but you can alleviate some of the pain with a slew of arts events this weekend. Times Square Arts brings it with their September #Midnightmoment partnership with the Met Opera, and the Met Museum’s gorgeous Manus X Machina comes to a close. Head over to Governors Island before it closes for the season to check out the Center for Holographic Arts, and head out to the Hamptons to enjoy Dita Von Teese while supporting Housing Works. Revisit the ’70s with a Paradise Garage Reunion, or honor Captain James T Kirk with a group show inspired by Star Trek. 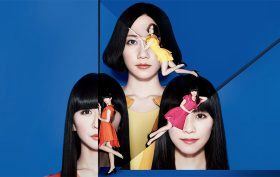 Experience the hype that is the Japanese pop band Perfume, then educate yourself on the sprawl and settlement of the Bronx.